The Hamptons never disappoint. New York’s favourite playground (and wind-swept escape from reality) has always enjoyed covetable style and to-die-for houses. Part of the appeal has been in keeping it local—indulging in homegrown food, goods, and shops. This summer a pair of chic “outsiders” have landed in Wainscott, East Hampton to open Good Design, the kind of design shop experience that makes even the most selfie-adverse visitors stage photo shoots in the entry. Chicago interior designers Michael del Piero and Lukas Machnikare behind the project, and have their hometown’s love—each one sought for their distinctive take on minimalism. Machnik’s confidently edgy, black-on-black, clean-lined take has earned him modernist fanfare. Meanwhile, del Piero has been a revered auteur for her tone-on-tone, organic sensibility. 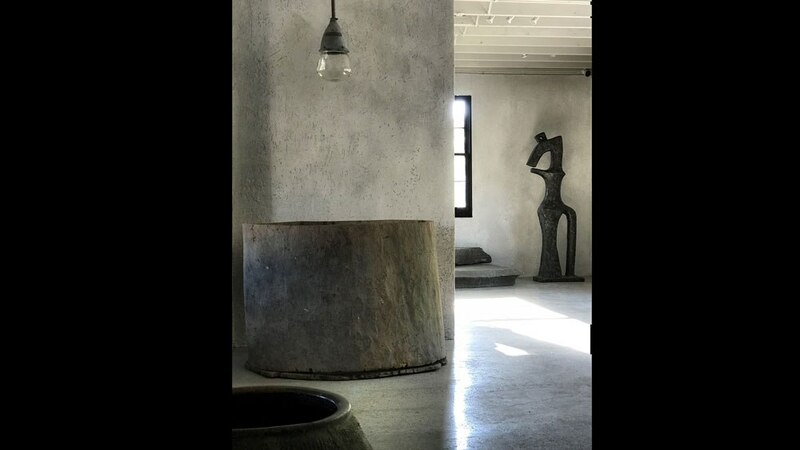 Her Good Design shop has been a destination in Chicago for years, imparting an earthy, layered vibe with scaled objects and major texture—it’s a look that appears deceptively simple. So too is Machnik’s – which is why together, they find an easy groove. Having this mix all in one place is appealing, but we crave more in our shopping experiences these days. 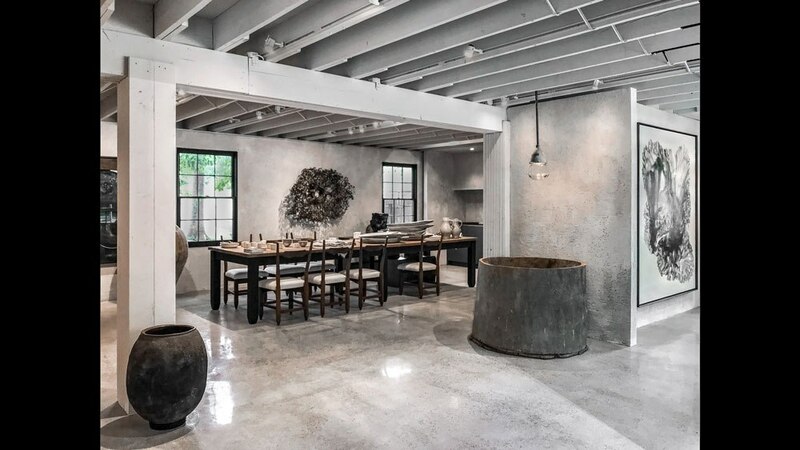 Unlike a traditional retail location, Good Design is housed in a renovated white log barn – a now-captivating environment that was in horrible state until Machnik transformed it with a deft architectural renovation and buildout. 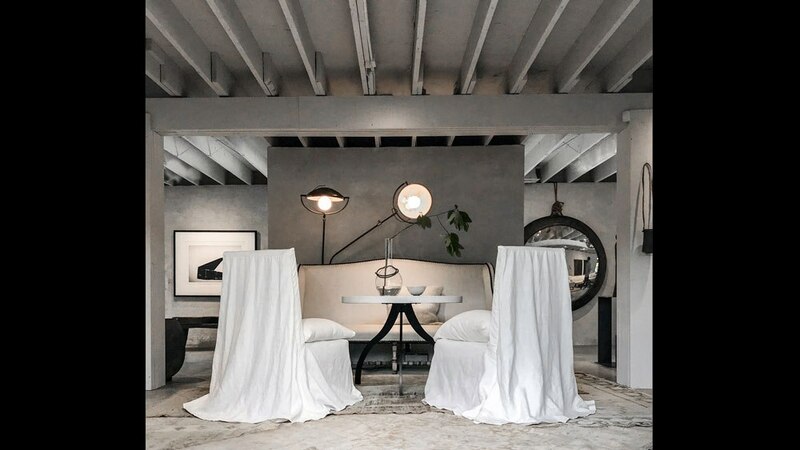 Heavily textured plaster walls by Hyde Park Mouldings set the mood, and it becomes apparent that the adventure of being inside is tied not just to shopping each room, but to finding a mix of pieces that magically make sense together. The second level is home to a design studio for local clients and designers. The pair also plan to host events and dinner parties—they installed a suite of Monogram appliances along with a huge farm table/island that seats 20. So, it’s on.